Brendan Hannan has worked as an agronomist with the New Zealand Sports Turf Institute for over 17 years, and has consulted to a wide range of high profile clients in New Zealand and overseas. In addition to his work in the sportsfield, cricket, golf and bowls sectors, Brendan is well known for his expertise in the areas of disease analysis and materials testing and selection. Brendan holds a Bachelor of Horticulture from Massey University and is a lead tutor for the NZ Certificate in Sports Turf Management. Brendan has spoken at many conferences, field days & seminars in New Zealand. 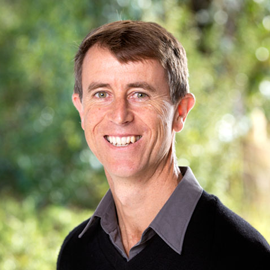 Brendan has also worked in the NZSTI laboratory since 1993 and has been the manager of Laboratory Services since 2004.